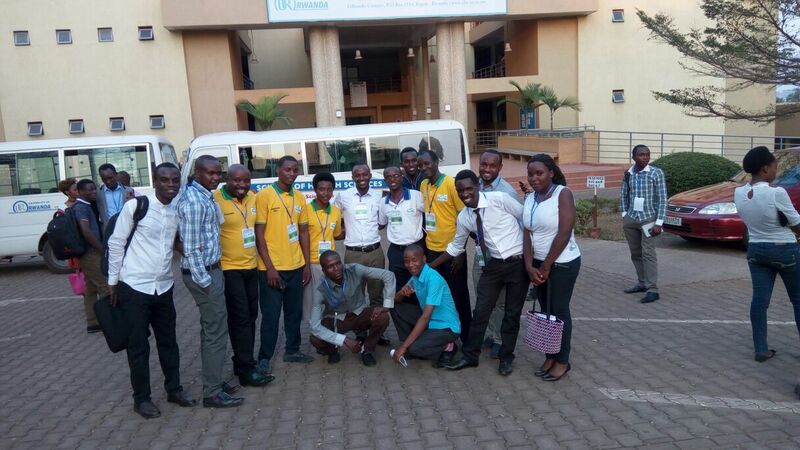 The 1st ALL AFRIKANA YOUTH CONGRESS 2017 (AAYFC) HILLTOP KIGALI, RWANDA 15th - 18th OCTOBER, 2017;A brief Declaration statement on the outcome of the 1st AAFYC 2017. A brief declaration statement on the outcome of the 1st AAFYC 2017. 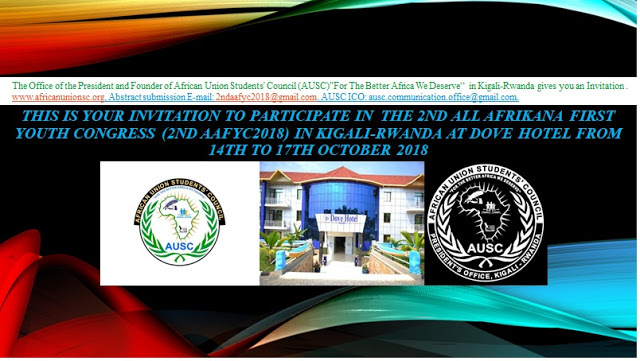 .The office of President and Founder of African Union Students' Council(AUSC)"For The Better Africa We Deserve" in Kigali-Rwanda declared the Initial Administration of INTERNATIONAL AFRICAN STUDENTS' SCHOOL(IASS)in KIGALI-RWANDA , under AUSC Education Division managed by International African Students ‘Education Loan Board - (IASELB). g) The fixed initial administration of INTERNATIONAL AFRICAN STUDENTS' SCHOOL(IASS) has started registration process of INTERNATIONAL AFRICAN STUDENTS' SCHOOL(IASS) in the Government of Rwanda with its Rwanda Education Board (REB) through the Local Administration of Kicukiro District in Kigali-Rwanda, to officially replace the names of former Life Nursery School after MVCP Administration closed its activities and after obtaining an official agreement letter on 12th December , 2017 to rend and take over the fundamental properties and names of the Life Nursery School from the Legal Representation of MVCP by Pastor Ngeyen Yinkfu the National Overseer of the Ministere de la Vie Chrestienne Profonde also known as Deeper Christian Life Ministry to the administration of INTERNATIONAL AFRICAN STUDENTS' SCHOOL(IASS). j) For more information please contact Legal Representative of INTERNATIONAL AFRICAN STUDENTS' SCHOOL(IASS) Mrs KAMAYIRESE Adele on Tel: +250788496893 , E-mail: iass.representative@gmail.com. k) Declaration Updated, on Monday July 9th, 2018. Finally, there will be a full declaration of 1st AAFYC 2017 in next few weeks. This is the pre-declaration, brief statement to highlight some of the activities that were presented by delegates from different parts from Africa. We expect all the youth to share the outcome that we briefly outlined here with all the youth in Africa. We ask you to prepare to join us in the 2nd AAFYC. 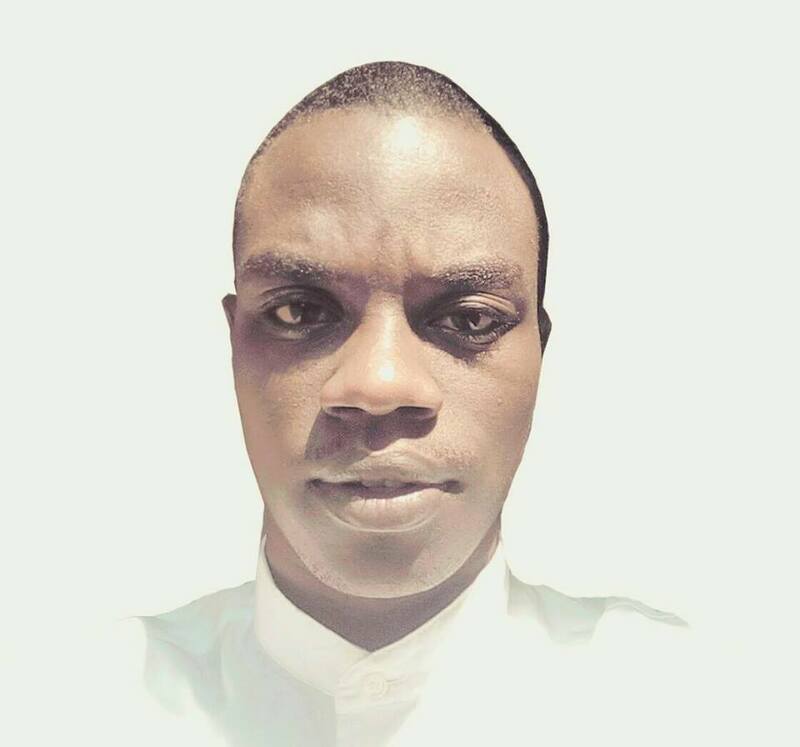 Africa has to move from resource curse to innovation blessing by removing the current unfortunate challenges of leadership, governance, institution and system curses. The youth of Africa will suffer if the prevailing curse continues. There is thus an urgent need for the entire youth of Africa to unite and make a big difference to Africa. If Africans learn how to own Africa; there is no doubt all will have their wellbeing fully taken care of. Let the youth of Africa make a difference to make up where the leadership failed. Let all the youth make Africa a great success. 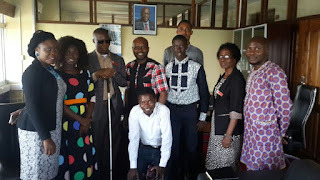 Let all the youth make our lives the struggle for Africa by appreciating and relearning all the rich values and heritage that originated from Africa. Thank you very much for always sharing such precious information with us. God bless you.